In this stunning collection of stories, renowned psychiatrist Irvin D. Yalom describes his patients' struggles--as well as his own--to come to terms with the two great challenges of existence: how to have a meaningful life yet reckon with its inevitable end. We meet a nurse who must stifle the pain of losing her son in order to comfort her patients' pains, a newly minted psychologist whose studies damage her treasured memories of a lost friend, and a man whose rejection of psychological inquiry forces even Yalom himself into a crisis of confidence. 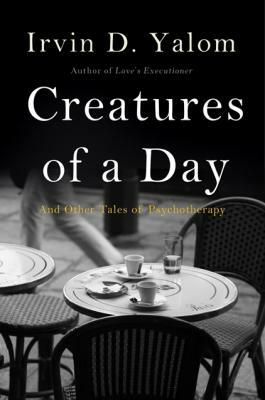 Creatures of a Day is a radically honest statement about the difficulties of human life, but also a celebration of some of the finest fruits--love, family, friendship--it can offer. Marcus Aurelius has written that "we are all creatures of a day." With Yalom as our guide, we will find the means to make our own day not only bearable, but also meaningful and joyful. Irvin D. Yalom is an emeritus professor of psychiatry at Stanford University and a psychiatrist in private practice in San Francisco. He is the author of many books, including Love's Executioner, Theory and Practice in Group Psychotherapy, and When Nietzsche Wept.